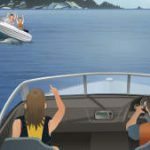 Although there is no such thing as a “right-of-way” in boating, there are written rules which specify who has certain “privilege” in meeting, crossing, or overtaking situations on the water. These “Rules of the Road”, or NavRules or Colregs, should be reviewed and complied with. 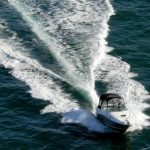 But the cardinal rule, above all others, is that the skipper should use every means at his or her disposal to avoid collision….even if it means breaking every rule ever written. Did you know that both Inland and International Rules require you to post a “lookout”. 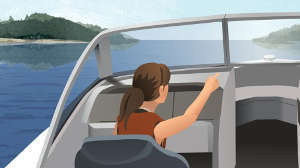 That could be the helmsman or anybody else on board, but the importance of this rule will be evident to you if you are ever involved in a collision with another boat. 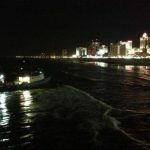 People who get paid for asking embarrassing questions (called “attorneys”) will be asking everybody on board if you posted a lookout. If nobody knows what he’s talking about, it won’t look good for you. So make a habit of appointing one member of your crew to watch for other traffic and to listen for trouble. And if it’s a long trip, rotate that responsibility to avoid fatigue. 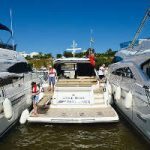 All vessels over 39.4 feet in length, operating in Navigable Waters, must carry a copy of the NAVRULES with them on the vessel. 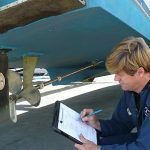 But whatever the size of your boat, you should read and understand these rules before you place yourself in the responsible position of a boat operator. 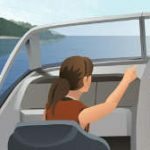 You wouldn’t think of operating a car without knowing the rules of the road…and you shouldn’t operate a boat without knowing them, either.